WeakMap objects are collections of key/value pairs where the keys are objects and values may be arbitrary ECMAScript language values. A WeakMap may be queried to see if it contains a key/value pair with a specific key, but no mechanism is provided for enumerating the objects it holds as keys. If an object that is being used as the key of a WeakMap key/value pair is only reachable by following a chain of references that start within that WeakMap, then that key/value pair is inaccessible and is automatically removed from the WeakMap. 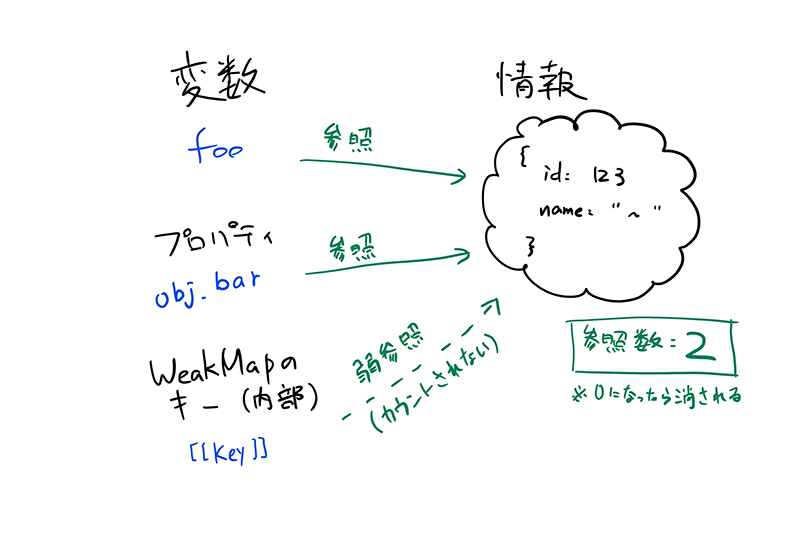 WeakMap implementations must detect and remove such key/value pairs and any associated resources. Keeping private data about a specific object and only giving access to it to people with a reference to the Map. A more ad-hoc approach is coming with the private-symbols proposal but that’s a long time from now. Keeping data about a small set of objects where many objects of the type exists to not incur problems with hidden classes JS engines use for objects of the same type.